This trip was the completion of the Canada-to-Mexico trips done in 2006 (Utah), 2010 (Utah to Glacier Park), 2011(Utah to Phoenix), and 2012 (Nogales to Phoenix, and Columbia Falls to Canada). Though it was short, compared to the others (just one long day), this was a very scenic route to cycle, rivaling anything we had cycled in our years of bicycle adventures. When we first cycled from Utah to Glacier National Park, we didn't have the goal of cycling from Canada to Mexico. Later, when that goal was made, our original destination of the park left us with 66 miles yet to cycle in order to have gone border to border. This trip filled-in that final missing segment of the route. 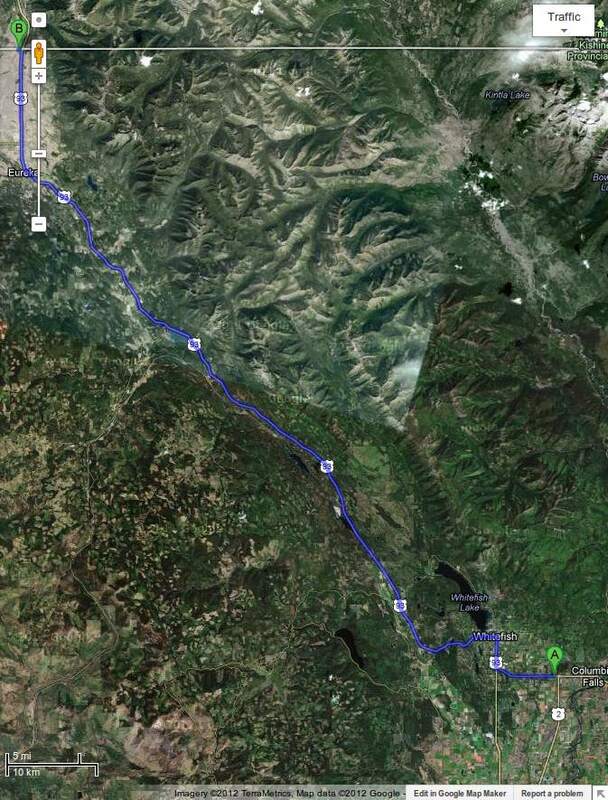 Our route took us from where US Highway 2 turns east toward Columbia Falls, cycling west to Whitefish, and northwest (and finally north) to the Canadian border.